Find events in the northern area and across the Las Vegas Valley. 1. Snake Oil — The Ultimate Arena Rock Experience: The concert is set at 8 p.m. July 30 at the Cannery, 2121 E. Craig Road. Admission is $20 at the door. Visit cannerycasino.com/entertainment. 2. Night and guided hikes: A free night hike is planned from 8 to 9 p.m. July 29 at the Spring Mountains Visitor Gateway, 2525 Kyle Canyon Road. It is rated easy with mostly paved paths and gravel over small hills. Participants are invited to bring a flashlight. 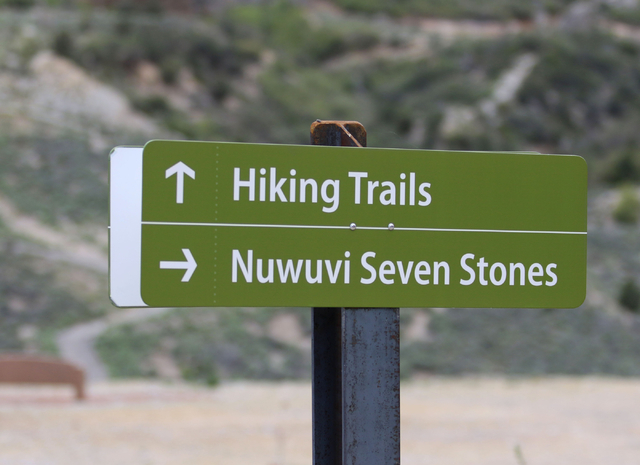 A free guided hike is planned from 2 to 4 p.m. July 31 at the Gateway, with an interpretive naturalist set to lead small groups on an easy-to-moderate trail, sharing information about the trail, flora and fauna and the Spring Mountains. Space is limited for both hikes, and registration is required. Visit gomtcharleston.com or email programs@gomtcharleston.com. 3. Camping at Craig Ranch Regional Park: The free event is planned from 7 p.m. July 29 to 7 a.m. July 30 at Craig Ranch Regional Park, 628 W. Craig Road. North Las Vegas residents, Boy and Girl Scout troops, city officials and city fire and police departments are invited to participate. Food will be available for dinner and breakfast in the morning. Free activities including a movie, kickball and a bike-riding excursion are planned. Visit cityofnorthlasvegas.com. Jazz Under the Stars with Willie Bradley: A concert by the pool is planned for 7 p.m. July 28 at the Aliante, 7300 Aliante Parkway. Tickets start at $23.50. Visit aliantegaming.com. All Star Friday Nights: Tyriq and Jamestown is scheduled to perform from 9 p.m. to 1 a.m. July 29 at the Aliante, 7300 Aliante Parkway. The cost is $10. Luxury booths are available for $100 and banquettes for $50. Call 702-692-7777 or visit aliantegaming.com. “Genesis”: The College of Southern Nevada Department of Fine Arts is planning an exhibition of digital and mixed media artwork by University of Toledo Associate Professor of Art Dan Hernandez from 9 a.m. to 4 p.m. July 28 and 29 and 10 a.m. to 2 p.m. July 30 at the Fine Arts Gallery, 3200 E. Cheyenne Ave. Admission is free. Call 702-651-4146. Junior Ranger: The free program is planned from 2 to 3 p.m. July 30 at the Spring Mountains Visitor Gateway, 2525 Kyle Canyon Road, and is set to teach junior rangers about the Spring Mountains, how to help protect the area and other outdoor skills. Visit gomtcharleston.com. Adult Summer Reading Program: The second annual reading program is planned through July 30 at any North Las Vegas Library branch. The North Las Vegas Library District invites residents 18 or older to participate in its adult summer reading club. Join the club for a chance to win prizes, including the grand prize of a Kindle Fire HD. Participants can register at any library. Visit cityofnorthlasvegas.com. United Blood Services Blood Drive: The blood drive is scheduled from 11 a.m. to 3 p.m. July 30 at the Centennial Hills Library, 6711 N. Buffalo Drive. Walk-ins are welcome. To schedule an appointment, call 702-228-4483. Earl Klugh: The concert is planned for 8 p.m. July 30 at the Aliante, 7300 Aliante Parkway. Reserved seat tickets start at $32.50. Visit aliantegaming.com or call 702-600-1625. Swingin’ Pedestrians: The concert is slated from 9 p.m. to midnight July 30 at the Cannery, 2121 E. Craig Road. Admission is free. Visit cannerycasino.com/entertainment. Cubelets: The workshop is planned from 4:30 to 5:30 p.m. Aug. 3 at the Centennial Hills Library, 6711 N. Buffalo Drive. Children 6 to 11 are invited to learn computer programming by building simple robots using Cubelets. Registration is required. Call 702-507-6107 or visit lvccld.org. Discount bowling: Texas Star Lanes at Texas Station, 2101 Texas Star Lane, plans to offer $1 bowling games from 7:30 a.m. to midnight Thursdays through August. An early-bird special is $1 per person per game Mondays through Fridays from 7:30 a.m. to 1 p.m. On Saturdays and Sundays, it’s $1.50. Call 702-288-7728. Santa Fe Station, 4949 N. Rancho Drive, offers $2 bowling games on Tuesdays with $2 shoe rental and $2 food and beverage specials. Cosmic Happy Hour is from 5 to 7 p.m. Fridays with $3 games. Call 702-658-4996. Summer movie series: Regal Cinemas at Texas Station, 2101 Texas Star Lane, is hosting a summer series at 10 a.m. Tuesdays and Wednesdays through Aug. 10, showing two G- or PG-rated movies for $1 per ticket, with a portion of the proceeds going to the Will Rodgers Pioneers Foundation. The schedule includes: July 26 and 27, “The Book of Life” and “Hotel Transylvania 2”; Aug. 2 and 3, “Cloudy with a Chance of Meatballs 2” and “Shaun the Sheep”; and Aug. 9 and 10, “The Croods” and “Dr. Seuss’ The Lorax.” Call 702-631-1000. Ice skating: The SoBe Ice Arena at Fiesta Rancho, 2400 N. Rancho Drive, is open for public skating sessions from 2:30 to 5:30 p.m. Mondays through Fridays and 1 to 4 p.m. Saturdays and Sundays. The cost is $7 for skating for three hours and skate rentals. Cosmic Skate with DJ Herrera is $10 from 7 to 10 p.m. Fridays and Saturdays. Skate School is offered throughout the year for all levels of ability for ages 3 or older from 5:45 to 6:30 p.m. Tuesdays and noon to 12:45 p.m. Saturdays. The group lessons include four passes to the public skates and skate rental during the classes. The cost is $70 per month, with the first month 20 percent off. Visit fiestarancho.sclv.com. “Cu Again”: The College of Southern Nevada Department of Fine Arts is set to host a metalwork exhibit by artist and CSN student Kim McTaggart from 8 a.m. to 10:30 p.m. Mondays through Fridays and 8 a.m. to 5 p.m. Saturdays through Aug. 6 at the Artspace Gallery, 3200 E. Cheyenne Ave. Admission is free. Call 702-651-4146. “Woodturner’s Delight”: The exhibit featuring wood-turned creations is set to be on display during regular library hours through Sept. 13 inside the gallery at the Centennial Hills Library, 6711 N. Buffalo Drive. Call 702-507-6107. “No Ordinary Life”: The free exhibition is planned from noon to 5 p.m. Tuesdays through Fridays and 10 a.m. to 3 p.m. Saturdays through Oct. 1 at the Left of Center Art Gallery, 2207 W. Gowan Road. The artwork by Kim Johnson is set to visually explore the diverse, natural order and design around people with subtle nuances of how people operate on sociological, psychological and primal levels. Call 702-647-7378. Hot yoga in the Neon Boneyard: One-hour hot yoga sessions with certified instructor Eileen Lorraine in the Neon Museum’s boneyard, 770 Las Vegas Blvd. North are scheduled at 5:30 p.m. Aug. 3, 17 and 31. The class is appropriate for beginners to advanced yogis 18 or older (children must be accompanied by an adult guardian) and will consist of flowing vinyasa sessions set to vintage Las Vegas-inspired beats. Sessions are $18 for the public and $13 for museum members. Visit neonmuseum.org/happenings or call 702-387-6366. Meet-and-greets with “Pawn Stars”: The events are scheduled from 1 to 3 p.m. Thursdays at the Gold & Silver Pawn Shop, 713 Las Vegas Blvd. South. Meet-and-greets featuring security guard Antwaun are scheduled from 11 a.m. to noon Saturdays and ones featuring historian Mark Hall-Patton are scheduled from 12:30 to 1:30 p.m. Saturdays and Sundays. Admission is free, but Gold & Silver Pawn is accepting donations for a variety of charities throughout the summer on Thursdays, including the Shine Family Foundation (for veterans) Aug. 4. Visit gspawn.com or call 702-385-7912. Improve Your Immune System: The workshop is planned from 9 to 10:30 a.m. Aug. 4 at the Centennial Hills Active Adult Center, 6601 N. Buffalo Drive. Ida Connors plans to teach how to resist disease and illness by strengthening the immune system through diet and managing stress. Admission is free with a $2 annual membership to Las Vegas senior programs. Registration is required. Call 702-229-1702. Healthier Living Workshop: The workshop is planned from 10 a.m. to 12:30 p.m. Fridays, Aug. 5 through Sept. 9, at the Centennial Hills Active Adult Center, 6601 N. Buffalo Drive. Dignity Health-St. Rose Dominican is set to present the Chronic Disease Self-Management Program developed by Stanford University School of Medicine. Adults with a chronic condition such as diabetes, arthritis, high blood pressure, heart disease, cancer, chronic pain or anxiety, or those suffering from chronic diseases can benefit from the workshop. Advance registration is required. Admission is free with a $2 annual membership to Las Vegas senior programs. Call 702-229-1702. Let’s Draw the Story! : The story time and activity is planned from 4 to 5 p.m. Aug. 5 at the Centennial Hills Library, 6711 N. Buffalo Drive. Children 3 to 7 are invited to listen to a story and draw whatever comes to mind. Call 702-507-6100 or visit lvccld.org. Back-to-school fair and Ward 6 Movie in the Park: A free screening of “Star Wars: The Force Awakens” is planned from 6:30 to 9:30 p.m. Aug. 5 at the Centennial Hills Park Amphitheater, 7101 N. Buffalo Drive. Residents are encouraged to bring blankets or folding chairs. A food truck is set to be available. Call 702-229-6154 or visit lasvegasnevada.gov/ward6. Boz Scaggs: The concert is set at 8 p.m. Aug. 6 at the Cannery, 2121 E. Craig Road. Admission starts at $39.95 at the door. Visit cannerycasino.com/entertainment. Adam Ferrara: The concert is planned for 8 p.m. Aug. 6 at the Aliante, 7300 Aliante Parkway. Reserved seat tickets start at $17.50. Visit aliantegaming.com or call 702-600-1625. Campfire Through the Ages: The free event is planned from 6:30 to 8 p.m. Aug. 10 at the Spring Mountains Visitor Gateway, 2525 Kyle Canyon Road. Families are invited to celebrate National S’mores Day, while making s’mores, singing campfire songs and hearing classic fireside stories. Visit gomtcharleston.com. LEGO Club: The group is set to meet from 4:30 to 5:30 p.m. Aug. 10 at the Centennial Hills Library, 6711 N. Buffalo Drive. Children 6 to 11 are invited to share stories and books and build projects inspired by those stories. Call 702-507-6100. My Design! : The workshop is scheduled from 4 to 5 p.m. Aug. 12 at the Centennial Hills Library, 6711 N. Buffalo Drive. Youths 11 to 17 are invited to represent their fandom by painting a T-shirt or bag. The library will provide stencils and paint. Youths must bring T-shirts, bags or pillowcases. Visit lvccld.org. Mirage — Tribute to Fleetwood Mac: The concerts are set at 8 p.m. Aug. 12 and 13 at the Cannery, 2121 E. Craig Road. Admission is $10 at the door. Visit cannerycasino.com/entertainment. EMG Town Hall on Veterans Treatment Courts: The town hall is set from noon to 2 p.m. Aug. 13 at the Veterans Transition Resource Center, 2550 Nature Park Drive, Suite 200. Adults are invited to discuss discrepancies about the Nevada Revised Statute 176A.280, 176A.285 and 176A.290, and to contribute ideas to nonpartisan Bill Draft Request 57, which is set to be introduced during the 2017 Nevada Legislature. Admission is free, but registration is required. Visit emgnv.com. Peter White: The concert is planned for 8 p.m. Aug. 13 at the Aliante, 7300 Aliante Parkway. Reserved seat tickets start at $32.50. Visit aliantegaming.com or call 702-600-1625. Dennis Wise “King for a Night”: The concert is set at 7 p.m. Aug. 13 inside the Chrome Showroom at Santa Fe Station, 4949 N. Rancho Drive. Visit santafestation.sclv.com. Free fiction writing workshop: The workshop with Maxwell Alexander Drake is scheduled from 3 to 5 p.m. Aug. 14 and 5:30 to 7:30 p.m. Aug. 15 inside the meeting room at the Centennial Hills Library, 6711 N. Buffalo Drive. Call 702-507-6107 or visit lvccld.org. Centennial Hills Soap Crafters: The workshop is slated from 6 to 7 p.m. Aug. 18 at the Centennial Hills Library, 6711 N. Buffalo Drive. Adults are invited to learn how to make bath and body products, troubleshoot problems, work on group projects, participate in a soap exchange and win giveaways. Call 702-507-6107 or visit lvccld.org. Teen Book Chats: The book club plans to meet from 4 to 5 p.m. Aug. 19 at the Centennial Hills Library, 6711 N. Buffalo Drive. Children 11 to 17 are invited to chat about their favorite books. Call 702-507-6107 or visit lvccld.org. Hot August Night Rob Garrett’s Tribute to Neil Diamond: The concert is planned at 8 p.m. Aug. 20 at the Cannery, 2121 E. Craig Road. Admission is $15 at the door. Visit cannerycasino.com/entertainment. Jazz Under the Stars with Matt Marshack: A concert by the pool is planned for 7 p.m. Aug. 25 at the Aliante, 7300 Aliante Parkway. Tickets start at $23.50. Visit aliantegaming.com. United Blood Services Blood Drive: The blood drive is scheduled from 11 a.m. to 3 p.m. Aug. 27 at the Centennial Hills Library, 6711 N. Buffalo Drive. Walk-ins are welcome. To schedule an appointment, call 702-228-4483. The Rat Pack: The concert is planned at 8 p.m. Aug. 27 at the Cannery, 2121 E. Craig Road. Tickets start at $19.95. Visit cannerycasino.com/entertainment. Pigs for the Kids: The event is set to feature a barbecue competition and live bands to support childhood cancer charities from noon to 9 p.m. Sept. 17 at Craig Ranch Regional Park, 628 W. Craig Road. General admission is $10 for ages 13 or older. VIPig tickets are $150. Children 12 or younger will be admitted free. Visit pigsforthekids.org. The Las Vegas Hemophilia Walk and 5K: The Nevada Chapter of the National Hemophilia Foundation is registering participants for the Sept. 24 Hemophilia Walk and 5K at Floyd Lamb Park at Tule Springs, 9200 Tule Springs Road. A light pre-walk breakfast, music, fun activities for children and a team T-shirt contest are planned. The walk begins at 8:30 a.m. Admission to Floyd Lamb Park is free for all walk participants. There is no fee to register, but donations are welcomed. Visit hemophilia.org.